Park Primary 1 and Early Learning and Childcare Centre share learning experiences in Early Level activities. 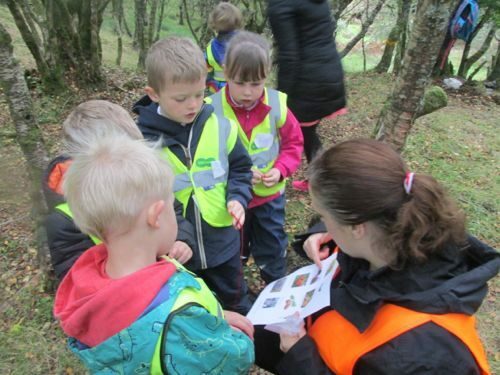 This term the activities took the children to Dunollie woods where they chose to learn about trees. Each group made friends with a tree and got to know their new friend really well(its name, shape of leaves, type of seeds, parts of a tree, bark pattern). The children made a collage of their friend using natural resources. They particularly enjoyed observing how their trees changed each week they visited the woods. There was a lot of learning about seasons and seasonal changes. Finally, each group created a tree story with the help of story stones. 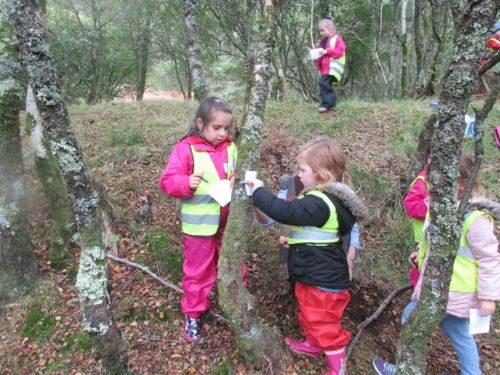 While visiting the forest the children were also learning how to stay safe and work as a team.